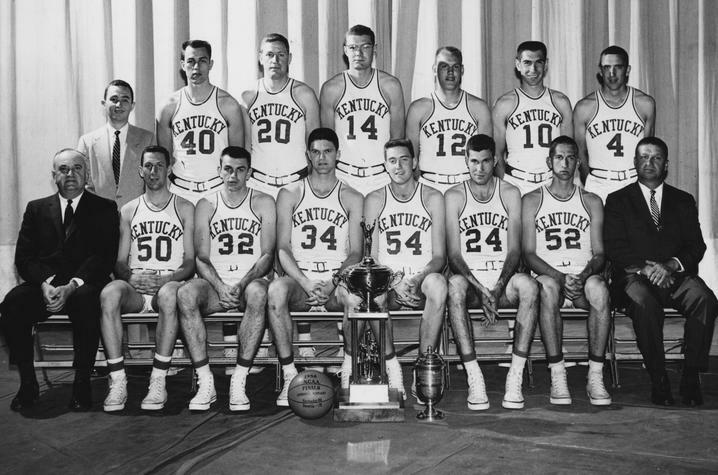 LEXINGTON, Ky. (March 14, 2019) — If nicknames are a sign of endearment, then University of Kentucky men’s basketball coach Adolph Rupp was popular with many Kentuckians. 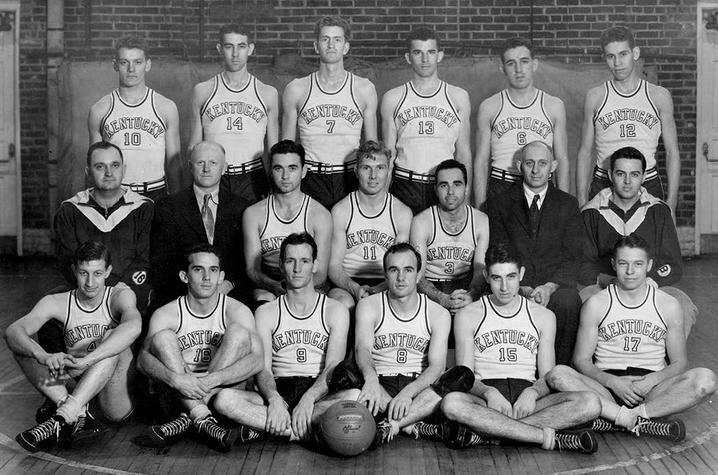 Not only did he have multiple nicknames — “The Man in the Brown Suit,” “The Baron of the Bluegrass” — many of the teams he coached had their own as well, including the “Fabulous Five” (1947–48), the “Fiddlin’ Five” (1957–58), and “Rupp’s Runts” (1965–66). Rupp’s reputation was backed up by his success on the court, where he cultivated a new mentality in collegiate athletics. 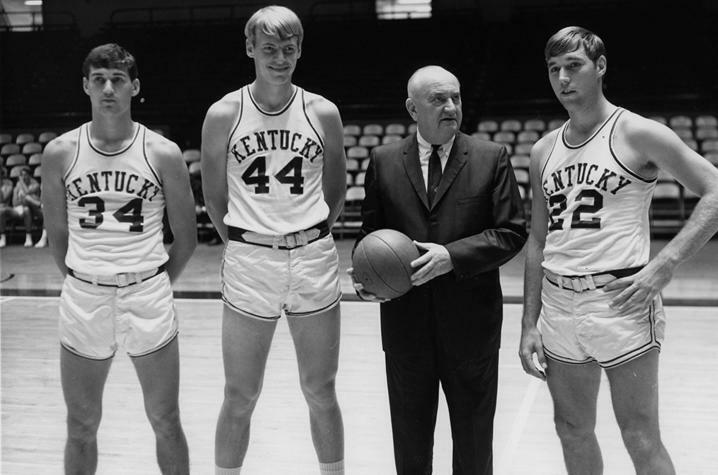 By the time of his retirement in 1972, he was the winningest coach in college basketball history with 876 victories to go along with 27 Southeastern Conference (SEC) championships and four national championships. Years later he is still remembered as a beloved figure, but also a controversial one. 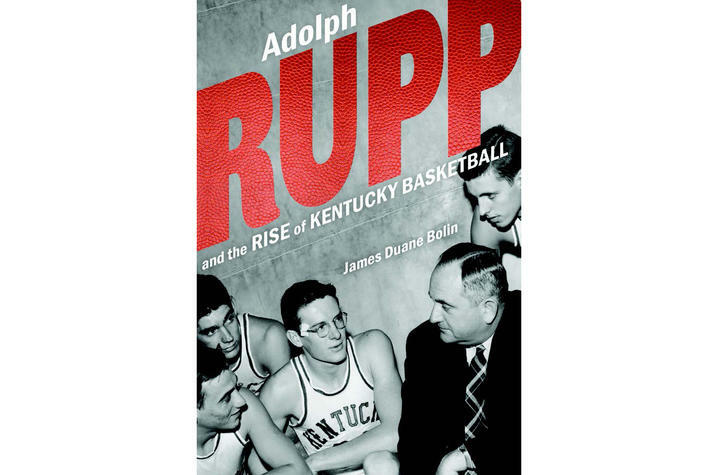 In “Adolph Rupp and the Rise of Kentucky Basketball,” published by University Press of Kentucky, UK history alumnus James Duane Bolin covers all aspects of the coach’s life and career, allowing readers to discover the real Adolph Rupp. From Rupp’s childhood on a farm in Kansas, through his studies at the University of Kansas and coaching stints at high schools in the Midwest, to his position as head coach of varsity basketball at UK, Bolin presents the most complete picture yet of this complicated and towering figure. Drawing on previously untapped primary sources, including magazine and newspaper articles, oral histories and archives, Bolin shows how Rupp became one of the best in the business, but also left in his wake a complex legacy on issues, ranging from gambling in sports to race. 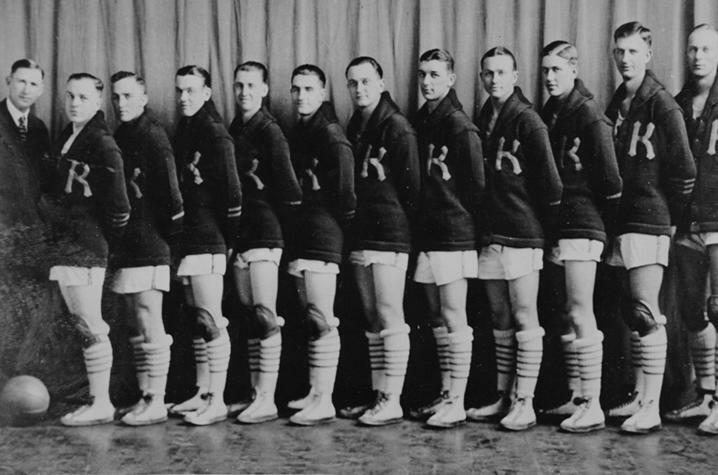 Rupp, along with his own college coach, Phog Allen at University of Kansas, and Oklahoma State College’s Hank Iba, moved college basketball from a mere afterthought during the 1920s to the mainstream during the decades following World War II. By perfecting a fan-friendly style of play, scheduling marquee games and forcing other schools to take basketball seriously, he helped transform college basketball — in the South specifically but also in America as a whole — into a big-time, big-business phenomenon, though he retired before television broadcasting brought huge profits to college sports. Only after Rupp’s death would other coaches and players capitalize on the foundation that the UK coach had built. And long after his death, American society continues to struggle with changes that he had initiated and the legacy he left behind for others to debate. This event will begin 6 p.m. Monday, March 25, at the Fayette County Extension office located at 1140 Harry Sykes Way in Lexington. Bolin will sign copies of his book, which will be available for sale that evening. University Press of Kentucky is the scholarly publisher for the Commonwealth of Kentucky, representing a consortium that includes all of the state universities, five private colleges and two historical societies. The press’ editorial program focuses on the humanities and the social sciences. Offices for the administrative, editorial, production and marketing departments of the press are found at UK, which provides financial support toward the operating expenses of the publishing operation through the UK Libraries.